Reported by the ‘Four’ books of Sunan; Ibn Hibbaan and Al-Haakim graded it as saheeh (authentic). At-Tirmidhee held the view that it is mursal (i.e. a taabi’ee narrating from the Prophet) – See Shaikh Al-Fawzaan’s footnote for the complete referencing. Allaah’s Messenger (salallaahu `alaihi wassallam) would divide his time between his wives and he would be just – and in that he would not give preference to one over another – and it was known that he loved some of them more than others. He loved `Aa’ishah (radiyallaahu `anhaa) more than the others. Yet he would still not give her more than her allotted division of time – he was indeed a fine example for his nation (Ummah). Reported by Ahmad and the four books of Sunan, and its chain of narration is saheeh (authentic). In this narration there is a threat for the one who shows favouritism and inclines towards one of his wives and transgresses the rights of another. So whoever has two wives and then inclines towards one of them in terms of division and gives preference to one over the other in nights (where he sleeps), in maintenance (provision), in clothing, in accommodation or in any single one of these four matters, then Allaah will punish him by exposing him and unmasking him on the Day of Resurrection. So he will come at the Gathering Place deformed on one side – meaning that he’ll be afflicted will paralysis as a punishment, and the recompense for a person is accordance to his deeds. That is because one wife will accept what you do – however if there are multiple wives and you incline unjustly towards one of them, then they will not be pleased. Hadeeth agreed upon, and this is the wording of Al-Bukhaaree. The Sharee`ah has not left a thing without explaining it to the people and ruled upon it. So if a man marries a new woman whilst he is already married to a woman or women, then the Legislator (Allaah) has placed limits because Allaah knows that the groom will incline towards his new wife (initially), and will be happy with her – so the Lord and Legislator has not closed affairs upon a man and made forbidden joy and He also not given him free-reign to oppress the other wives. Rather He has placed around the husband limitations. So if he marries a virgin, he remains with her seven nights so that he (and her) may find enjoyment and happiness. And also because the virgin is a stranger to marriage and she has left her family so she needs company, friendliness and comforting. So in this there is benefit for the husband and the wife. Then he divides his time (as normal) between the rest of his wives after the seven nights. And the new wife becomes like the rest of his wives and thus receives her division. 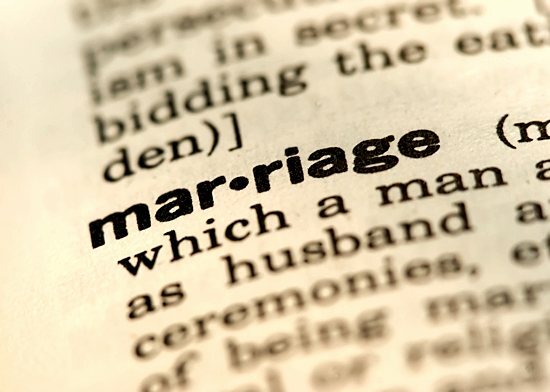 If he marries a maiden (a formerly married woman) – and this refers to a woman who was previously married to another man and had intimate sexual relations with him. With this wife he spends three continuous nights upon marriage. Thereafter he divides his time equally between all his wives. This is because she is familiar with being married and with having a husband. So three nights suffice her. So this is the justice that Islaam has come with – and Islaam does not prevent a husband from taking pleasure from his new wife (and her from him). He does not show bias against the rest of his wives by abandoning them for a lengthy period when taking on a new wife, as that will cause them harm and hurt them. Umm Salamah (radiyallaahu `anhaa) is Hind bint Abee Umayyah Al-Makhzoomiyyah, the noble and great female Companion. She was previously the wife of Abu Salamah (radiyallaahu `anhu). He died whilst in Madinah. After that Allaah’s Messenger (salallaahu `alaihi wassallam) married her. Both Abu Salamah and Umm Salamah were Muhaajiroon (those who migrated from Makkah to Madinah). Furthermore, they performed two migrations: They first migrated to Abyssinia, and then they migrated to Madinah. And the Messenger of Allaah (salallaahu `alaihi wassallam) married her after the death of Abu Salamah and she was therefore a maiden (thayyib) and she had children. After the wedding, he spent three nights with her. Then he said to her: “You are not being humbled (or lowered) in the estimation of your family.” Family here refers to her husband, and he is the Messenger of Allaah. A husband is considered as the family of the wife, and the wife is considered as the family of the husband. So they are family to one another. “If you wish, I shall stay with you for seven nights, and if I stay with you for seven nights, I shall do the same with my other wives.” This is from justice. If he increases beyond what is due to her as her right of three nights then he will make up similar days with the other wives. That is because her right is only three consecutive nights. If he increases beyond that, then it becomes obligatory upon him to confer upon all of his wives the same because after the three nights she becomes (in division) like the rest of his wives, and thus he must maintain justice between them.